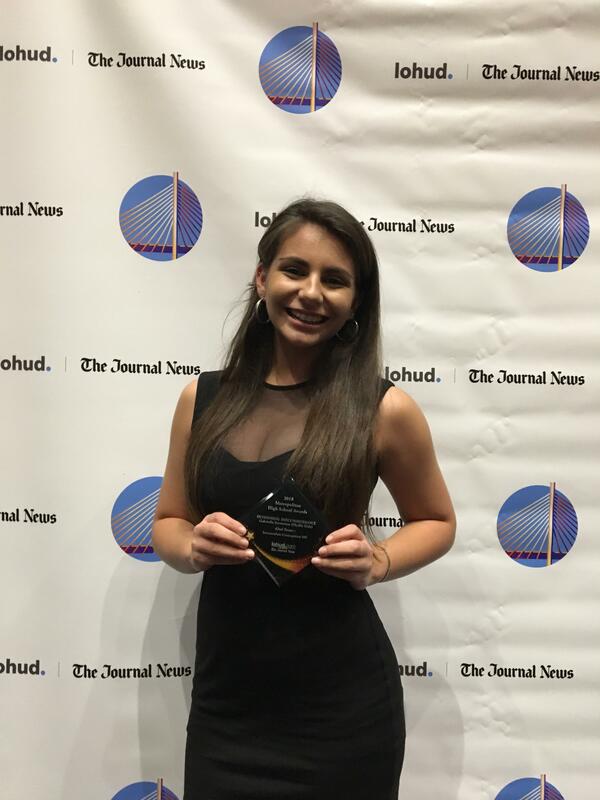 ICHS Student Wins Metro Award! 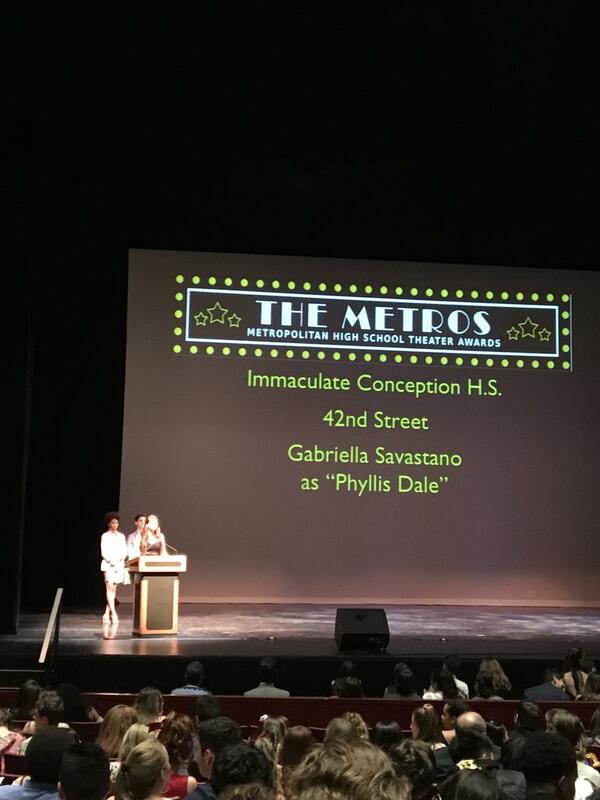 Congratulations to Gabriella Savastano ’19 for being awarded the Best Dance Performance Metro Award for playing Phyllis Dale in the spring production of 42nd Street. The Metro Awards shine a spotlight on the exceptional musical theater productions, talented actors and actresses and devoted creative teams who take to the stage every spring in high schools in Rockland, Westchester, Putnam and Bergen counties. Winners were announced at the annual Metro Awards Ceremony earlier this week. Many ICHS students and families were in attendance for the ceremony including our other Blue Wolf nominees, Rachel Zegler ’19 for her role as Dorothy Brock, Rebecca Leider ‘19 for Stage Manager, and Katrina Stroedecke ‘18 for Assistant Stage Manager. To the entire cast and crew we are so proud of your hard work and dedication to the arts and for performing at your best!!! !